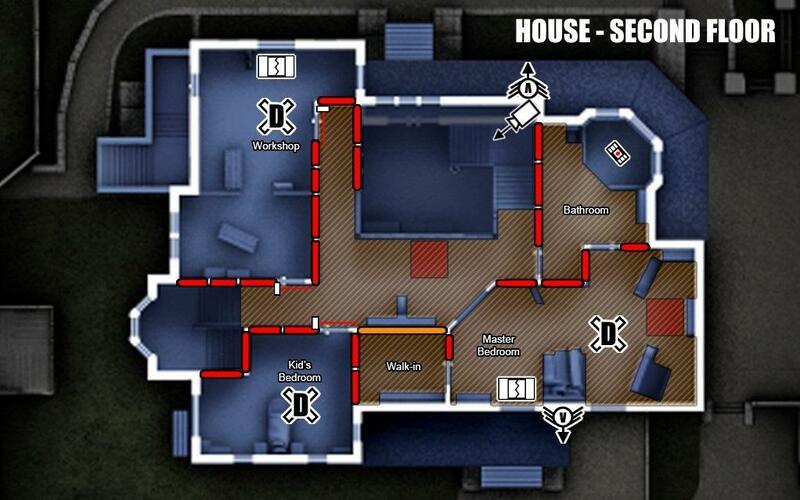 Get the lowdown on Siege's maps, and learn some useful strategies for each one. White lines indicate walls that are firmly solid and cannot be breached or shot through. Orange lines indicate walls that can be shot through and even destroyed, but due to the position of furniture or other facilities, cannot be traversed through. Use these walls as makeshift murder holes. Red lines indicate walls that can be breached, shot through and destroyed. Orange shaded areas indicate a wooden floor that can be shot through and destroyed. It's also a good indicator of areas in the map that will see a lot of weapons-fire. This icon indicates the location of the cameras around each map, as well as their default direction. This icon indicates potential locations for the defenders' objectives to spawn in. It also indicates places where ammo boxes can spawn. This icon indicates potential spots for defenders to place manually triggered devices such as C4 and Smoke's gas canister. This icon indicates potential doorways/windows for Kapkan to set his tripwires on. 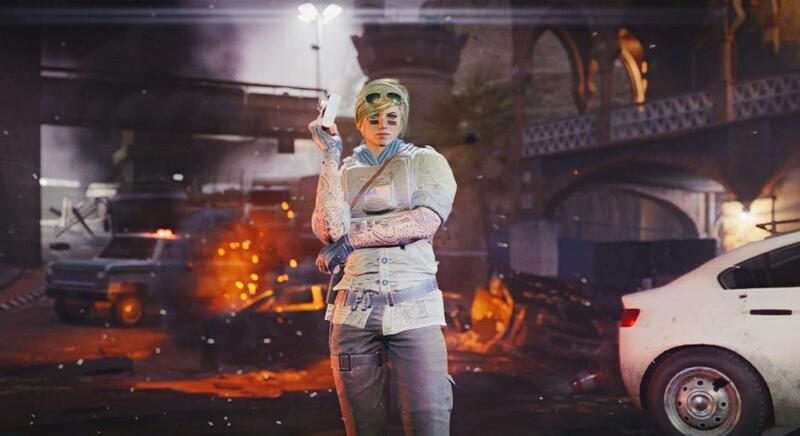 This icon indicates potential spots for Frost to place her Welcome Mats. This icon indicates potential spots to place Valkyrie's Black Eye cameras. This icon indicates potential walls to place Mira's Black Mirror breaches. The black side of the icon represents which side of the wall the bulletproof black glass should be on. 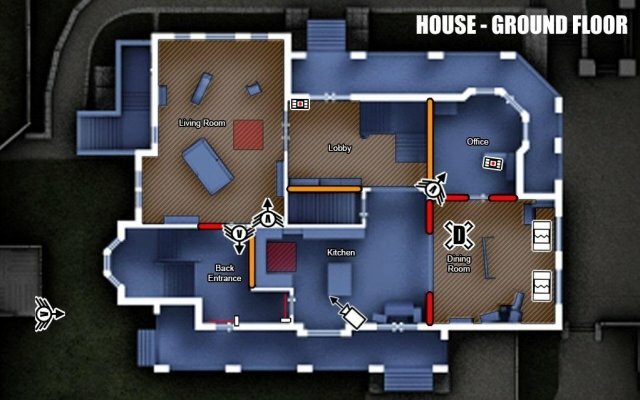 Set in what the game calls "a typical suburban home", the House map is a simple straightforward map. There are three floors and several points of entry on each side of the building. 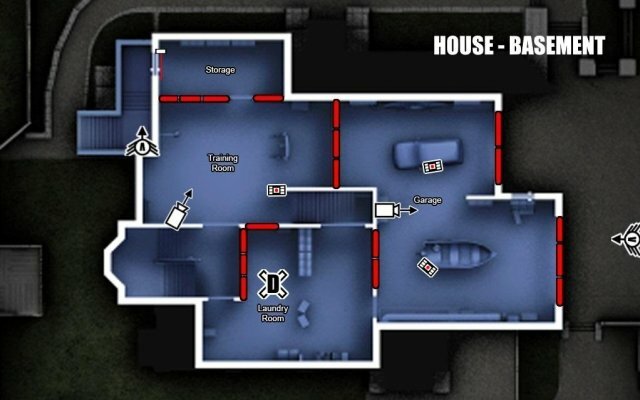 Attackers are most likely to spawn from Construction Area or Side Street, while Defenders are most likely to spawn in the Master Bedroom or the Laundry Room. 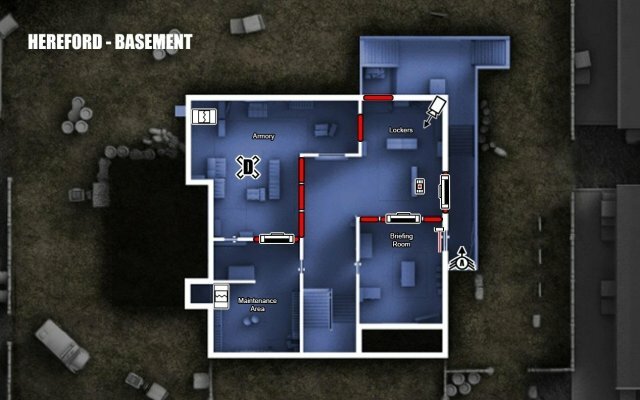 Attackers can enter the basement in four ways; the Storage Room, the Garage, the stairs or the trapdoors. Entering through the Storage Room is the one that's least likely to be noticed and good for stealth infiltrations, entering through the Garage is the obvious route and will most likely be well-defended; however, multiple members can breach at once this way and provide covering fire for each other. Taking the stairs is another obvious way if coming from the ground floor; defenders may be watching the stairway, so breach through one of the trapdoors instead for a fast and surprising way down. The ground floor has multiple points of entry; most on the north side of the house. The lobby is an obvious choice for entry, but neither team gets an advantage as it is a difficult room to defend. Entering through the Office is a quieter way inside, but watch out for explosive traps which can be lethal in the tiny room. Entering through the Dining Room is only possible via rappelling, and the line-of-sight is quite large as attackers can shoot all the way through the Kitchen if they aim through the Dining Room windows. The Dining Room itself is also difficult to defend because of the easy access to the Kitchen and Lobby. Then there's the Living Room, which has many windows, making it a hotspot for weapons-fire. Try not to linger for too long in there. Attackers can try breaching through the Back Entrance for a sneaky way inside, but watch for defenders in the Kitchen and Living Room. 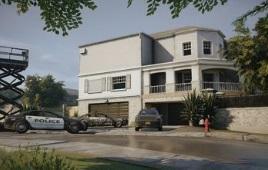 Other than the stairs, the attackers will have to rappel to get inside the second floor. There are several windows that the attackers may enter through, apart from the large window that overlooks the lobby. This window cannot be barricaded and both teams can easily shoot each other through it. The Workshop and Kid's Bedroom can be considered slightly safer to enter through if the main objective isn't in either one, but overall the second floor is a hotzone. Nearly every inch of wall can be destroyed save for a wall in the Walk-In Closet, and the floor itself is made of wood, so it can be shot through. 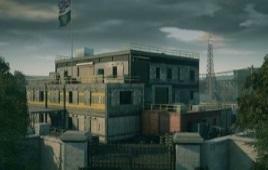 Defenders will want to reinforce as many walls as they can here, making Thermite a great pick for the attackers, and Bandit and Mute good choices for defenders. The hallways in the second floor are very dangerous to be in as there's very little cover and it is easy to shoot from the back stairway to the Master Bedroom and vice versa. This square building is the Hereford Base. It has four floors, one central staircase and plenty of opportunities to blow up new ways around. This makes it an excellent training map for Siege newcomers, as was proven in the Situations mode. This floor is arguably the easiest to defend as it has very few ways to get inside. The Briefing Room has the only door to the outside, but because of this, is most likely going to be watched by the defenders. The Locker Room has a couple of weak walls but this room too will also be watched. The staircase is another way of getting inside but does not provide enough cover and is in direct line-of-sight with the Armory door, meaning any defender who is watching the hallway from the door will have a clear shot at an attacker trying to enter via the stairs. Attackers can also enter through the Maintenance Area's ladder, so defenders will need to booby-trap the ladder to prevent this. All that being said, attackers can find an easier way inside by blowing up the trapdoors on the ground floor; the TV Room trapdoor leads straight to the Armory. Defenders can reinforce the trapdoors to help combat this. Despite being an unlikely floor for objectives, this floor is surprisingly difficult to breach. There's a limited number of ways to get inside for attackers; the front door is the obvious option but there are also a couple of windows as well as two walls on the south and east side of the building that can be breached. If the objective is in the basement, then the Garage is a likely spot for attackers to enter from, so defenders should watch that area accordingly. If Sledge is on the attacking team, he can use his hammer to make a stealthy entrance to the Dining Room. An ammo box is likely to spawn in the Kitchen. This floor holds living quarters, as there are bedrooms here. Defenders should keep the north side of this floor covered; place barbed wire and Welcome Mats all along the north wall, while the rest of the team can keep an eye on the staircase and side rooms. Attackers are most likely to breach from the north windows and the Laundry Room, but a sneaky attacker could try getting in via the Kid's Bedroom or the Office and going through a wall into the Master Bedroom. 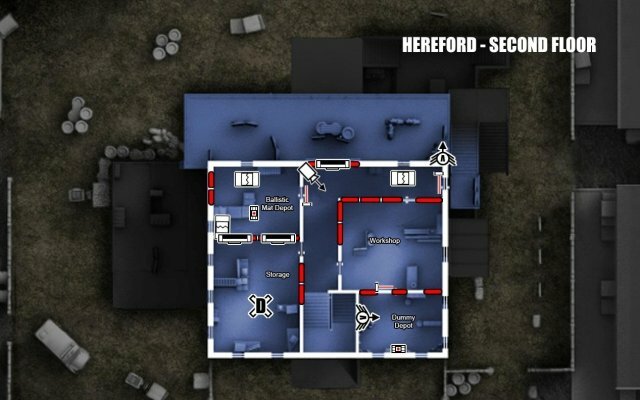 The second floor is very difficult to defend because of numerous ways for the attackers to breach; they can traverse the stairs, they can rappel through one of the many windows, or they can destroy a wall from the convenient outside roof section. The Storage room also has many sections of wall that can be shot through and blown up, so defenders should reinforce as many walls there as they can. That being said, the attacking team are very likely to approach from the north side, so place your traps accordingly. The Ballistic Mat Depot in particular is a great place for the defenders to place C4, Welcome Mats and other devious delights, so attackers may want to avoid going through there. 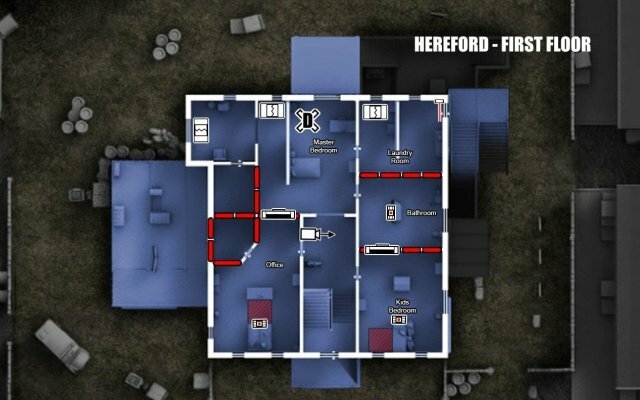 A good blind spot to approach from is the Dummy Depot; defenders are most likely going to be focused on the staircase or the north wall to keep an eye on the Dummy Depot. 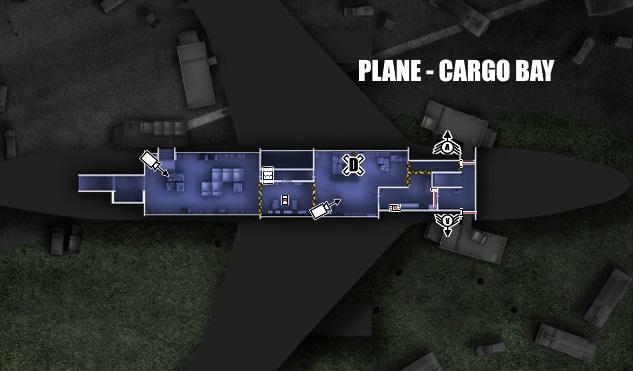 Considered an iconic and unique Siege experience, the Plane map is claustrophobic, tense and constrained, although the actual plane itself seems to be twice the size of an actual Boeing 747, the real aeroplane this map is based on. 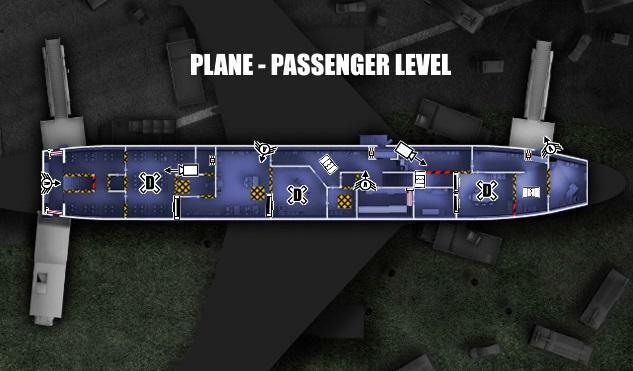 Starting with the smallest floor in size, the cargo bay or luggage hold has one defender spawn and three ways to get in from the outside, all three of which involve climbing ladders to reach elevated catering platforms. There are aslo multiple trapdoors that can be used to enter, so defenders should make sure they are reinforced. The defender objective room in here has two main entrances (and one secret entrance), both of which can be covered quite easily, making entry difficult for attackers. The doorway on the west side of the room leads to a long tight corridor that is difficult to move through without getting spotted, however the room directly south of this corridor can be breached and used to gain entry instead. The doorway to the east leads to a T-junction and two exits out of the plane, as well as the stairs up. This corridor can also be covered easily. As for the secret entrance, one of the northeast walls can be destroyed, leading to a secret corridor that has no doors or windows. Very few people are aware of this corridor, so a wily attacker can use it to sneak into the luggage hold objective and bypass the heavily-covered doorways. There are many different ways to access this floor; three different jetways, one emergency exit on the north wing, several trapdoors from above, two ladders from above, and three staircases. This level is the one most likey to have defender objectives, as there are three defender spawn locations here. 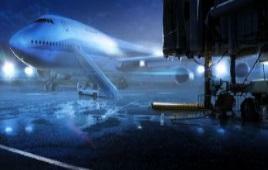 For the most part, there is only one way from one end of the plane to the other on this level, however there are multiple breachable walls that can make shortcuts possible. 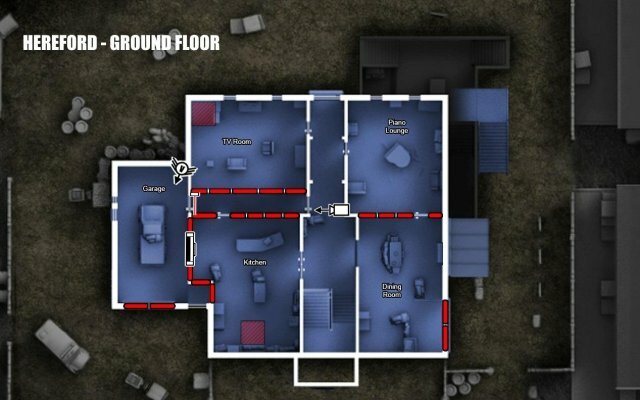 Because of the layout of the floor, it is easy for defenders to force attackers into a bottleneck situation, if they can place traps and reinforcements carefully. Make sure to study the map and find all the different ways you can approach each objective from if this is the case. Be careful of the easternmost room on this floor; it is an office and it is a dead end, so if you find yourself in there while evading enemies, you may get trapped. The area on the westernmost part of the floor is the press section. Keep in mind that the seats there only provide sight cover, not bullet cover, and if you are up against AI enemies, the seats won't even provide you with sight cover, as the AI is very good at spotting you in there. There are only two ways to access this floor from the outside. 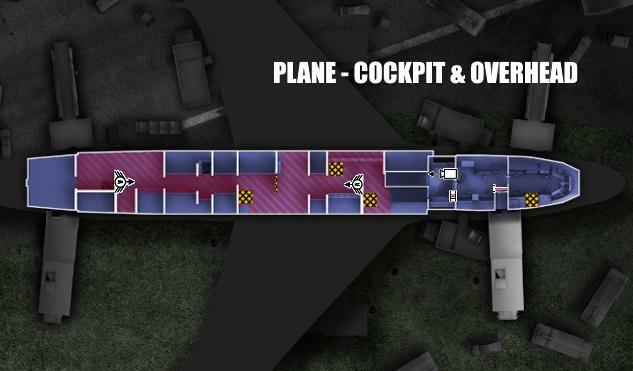 The first is the obvious jetway entry to the cockpit by climbing a tall ladder on the southeastern section of the map. The second is actually a very sneaky way inside that not very many people are even aware of. It requires climbing to the top of the southwestern jetway and traversing across the roof of said jetway until you reach the tail end of the Plane, where you will find an open skylight that you can drop into. This floor is the most constrained and there are several ways down to the lower level from here, most of which are trapdoors inside the tight overhead passageway. Defenders on the passenger level will want to reinforce those trapdoors to prevent attackers from using them. There are also a couple of ladders that go directly down to the passenger level, however these are quite dangerous to use as they leave attackers open. The corridor itself is long and not easy to move through; there are plenty of hiding spots for campers. The staircase leads to the centre of the passenger level where a junction awaits. It's also a hotspot for defenders to camp so keep an eye out while you go down.